This interior designer needed a logo and brand system that embodied wellness—not just the status quo. 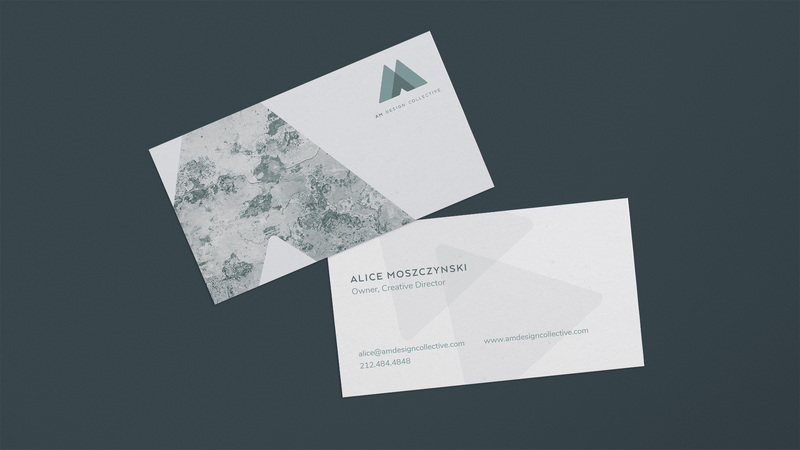 AM Design Collective is a wellness-driven interior design firm run by Alice Moszczynski. Her focus is to create personal change through thoughtful interior design. Alice worked for different companies in the past, but wanted to take those experiences and branch out on her own. Alice asked me to design a complete brand identity for her freelancing efforts, that would showcase her unique sensibilities. Through our discussions and JCD questionnaires, we discovered that while other companies are focused on high fashion and spare-no-expense style, Alice’s mission to create personal change (emotional, spiritual, etc.) through thoughtfully designed environments would be a unique identity amongst the marketplace. We centered around the words calm, modern, flexible, and transformative to define Alice’s sensible aesthetic and mission. These words formed the foundation for all other brand elements create. With modernity and simplicity defining the brand voice, I began designing the logo using clean and simple sans serifs. 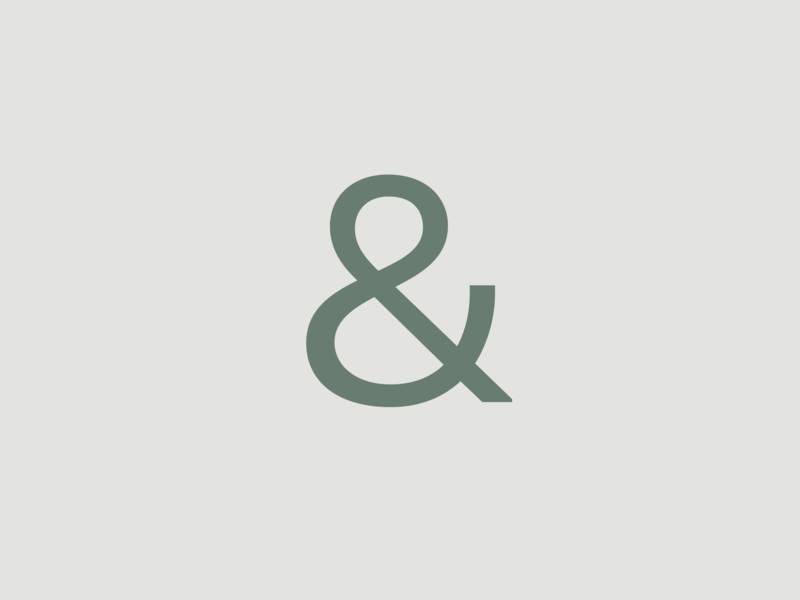 I focused on making monograms to reflect that the company primarily represents Alice, as opposed to a firm of many designers. The letters “AM” made a great vessel for other images, so I incorporated natural photography into the mark to tie back to a sense of calm. The combination played nicely with Alice’s overall sense of natural, wellness-focused design, and the decision was then made to add natural elements to the brand system. A greenish palette instills a sense of both intelligence and earthiness. The primary color is used sparingly throughout the design so that photographic elements can take the spotlight when in use. 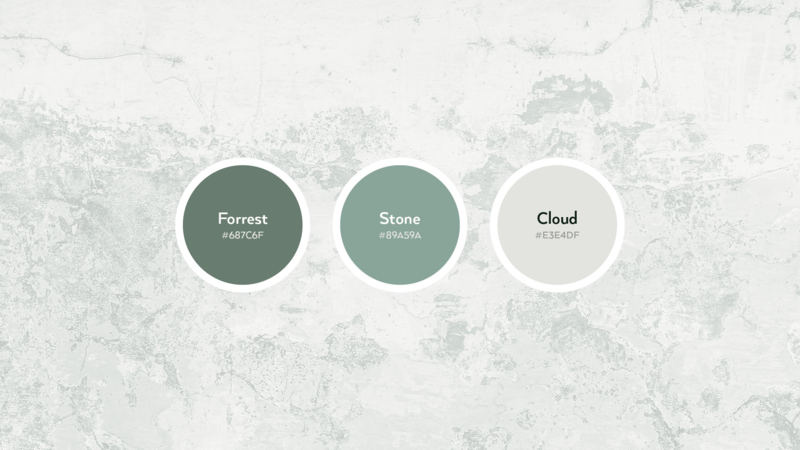 Neutral tints of green rounded out the palette to present a natural progression of hierarchy amongst the colors. 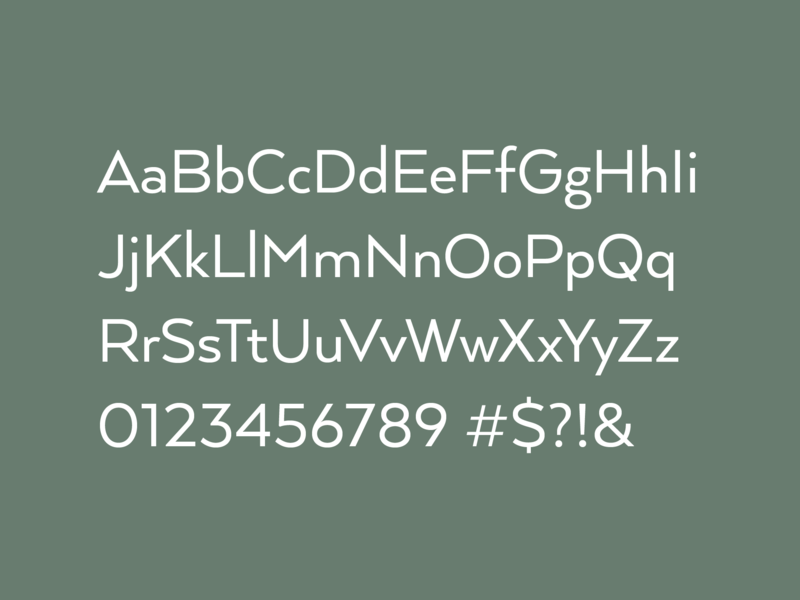 Arquitecta Bold is a cross between a modern geometric and an art-deco sans serif typeface. This clean and angular typeface has a low x-height which makes it feel elegant when used as a headline. Arquitecta’s geometry also implies a sense of intentionality and structure which adds a visual cue when used to represent a designer. Nunito Sans complements Arquitecta as body copy. 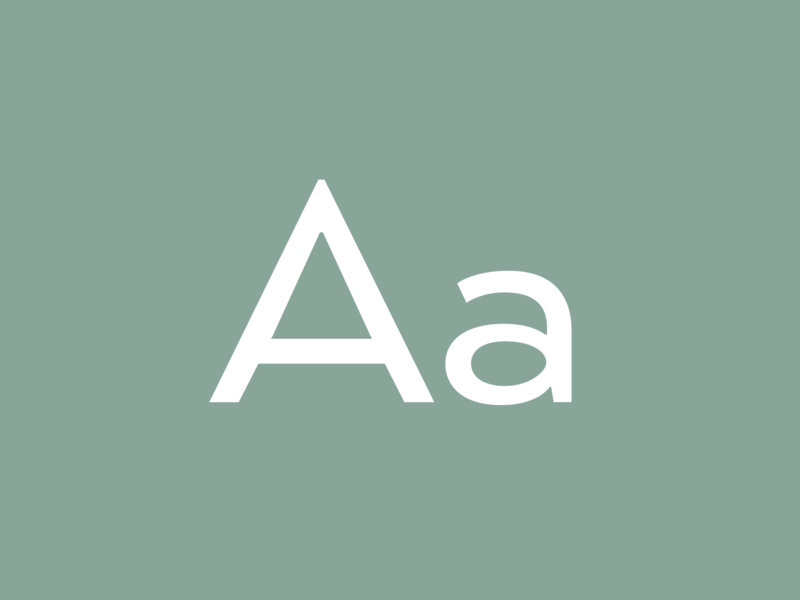 Nunito Sans has a higher x-height, making it more legible at smaller sizes. I chose this sans serif to serve as a humanistic complement to the more rigid Arquitecta. 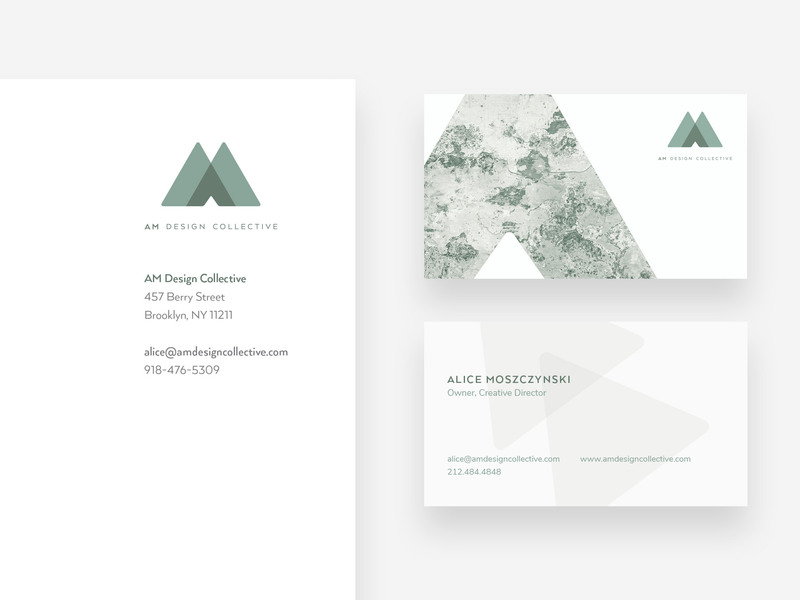 Intersection is a key element in the AM Design Collective branding system. I reintroduced some intersecting elements throughout the stationery to unify the collateral and drive home the graceful effects of simple overlapping shapes which embody the experience of Alice’s wellness-driven design practice.